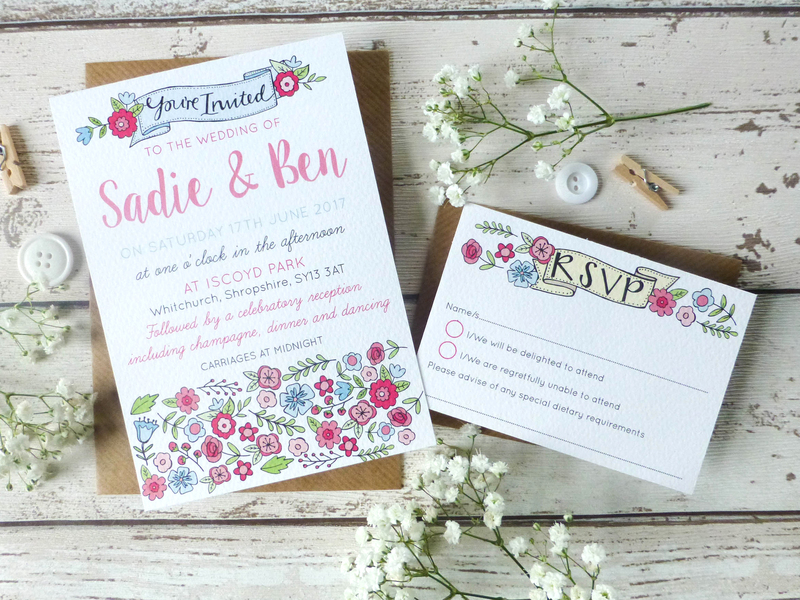 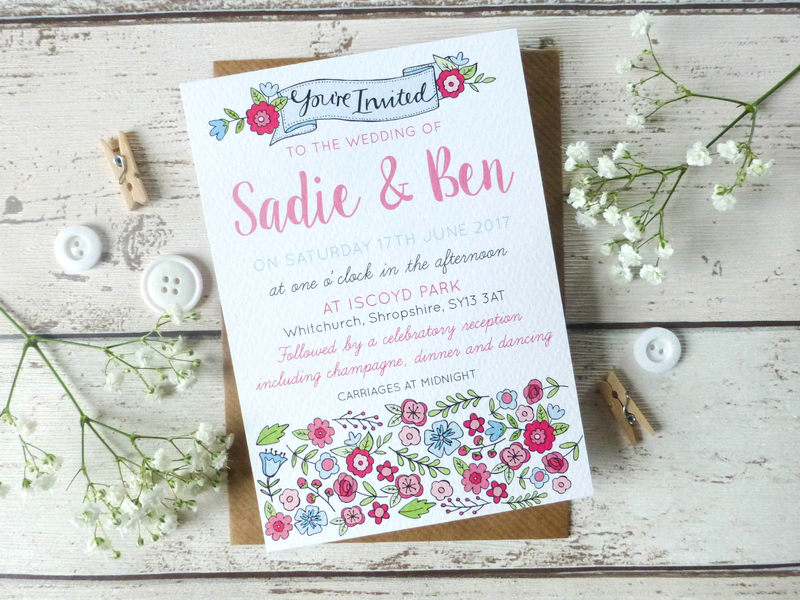 Quirky hand drawn flowers in lovely pinks, blues and greens. 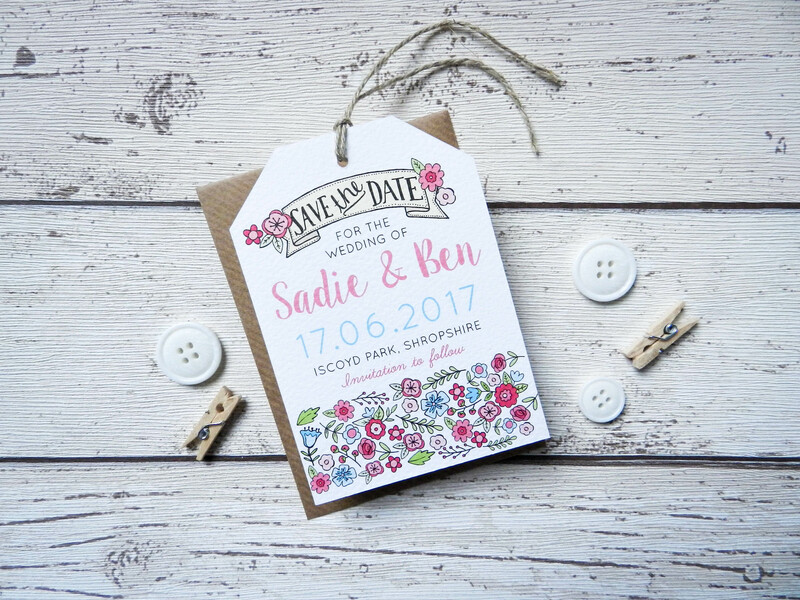 Printed on quality textured card and hand finished with rustic twine. 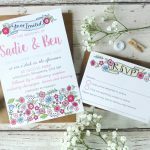 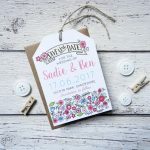 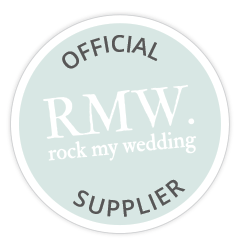 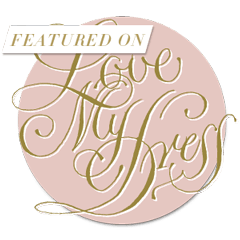 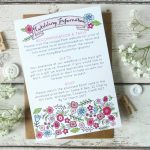 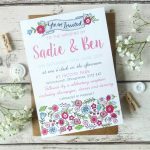 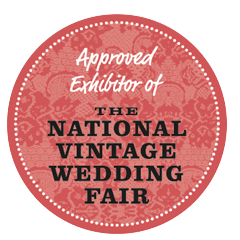 The invitation is a flat double sided A6 card and the colours, wording and layout are all fully customisable, additional wedding information is printed on the back of the card. 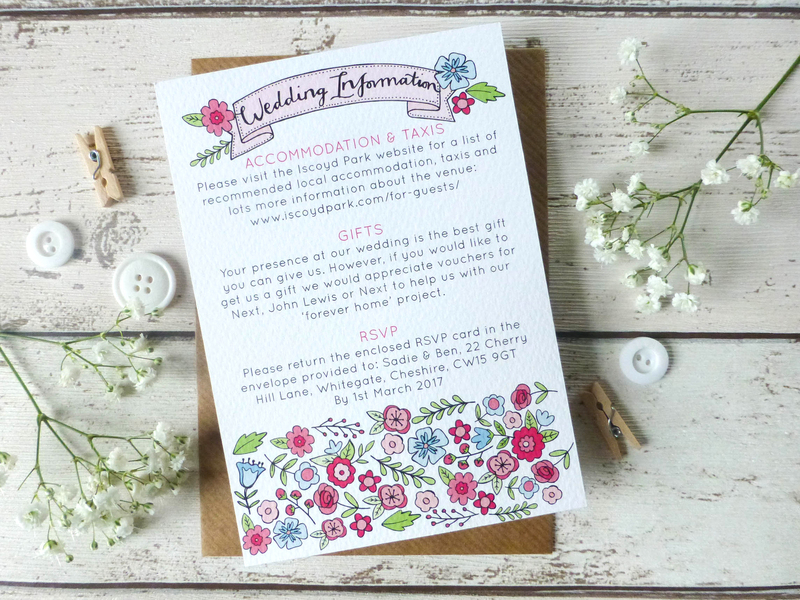 Additional info cards and RSVP cards are available in the same design and start from £1.25 each, please get in touch for more details.